Insight Dialogue is a co-meditative practice specifically bringing mindfulness into relationship, including speaking and listening. Using the methods of Insight Dialogue, clinicians develop increased awareness of their co-created interpersonal patterns, and thereby deepen their personal and professional presence. Using the story of the historical Buddha’s wife as an anchoring example, this talk explores the foundations and significant implications of interpersonal resonance for healing and clinicians’ harnessing presence as a relational unity. Clinical applications for the therapy relationship will be discussed and demonstrated. Why do westerners struggle to establish a regular meditation practice? Could it be that traditional instructions are not engaging enough for our high stimulus cultural milieu? Might creating a sound, consistent formal meditation practice enhance a clinician’s capacity for therapeutic presence? In order to support a more enlivening atmosphere for meditation, there are several important building blocks which need to be established at the beginning of practice. If these are overlooked meditation is more likely to be colored by restlessness, boredom and cognitive drift. These foundational elements-a settled posture, an easy breath and affectively engaged attention- create a holding environment for practice. Development of such a sound holding environment for formal meditation practice translates into deeper therapeutic presence - the capacity and skill set of the clinician to create a sound, healing holding environment for the psychotherapy client. This class will focus on identifying and engaging core elements of this internal holding environment, with serving suggestions about how to cultivate them. As long as we're alive, we experience pain. Unfortunately, many of our hard-wired responses to both physical and emotional pain multiply our miseries, trapping us in viscous cycles of suffering. This class will focus on ways to be present with pain that interrupt these cycles, freeing us from unnecessary suffering. Therapeutic presence arises from a clinician and clients’ increased willingness to relate to pain with flexibility versus control and avoidance. In this talk, we will learn a variety of ways to use mindfulness to practice better self-care, both inside and outside of the clinical hour. In the process, we will discover how this effort can increase our capacity to be more fully present - with ourselves, with our patients, and with others in our lives. Through a combination of didactic material, discussion, and simple mindfulness exercises, participants will be offered some practical tools and skills they can start using right away, and even share with their patients if they choose to. Self-compassion is a state of warm, connected presence during difficult moments in our lives. It is an inner strength that can be cultivated inside or outside the consultation office. During therapy, self-compassion can help a therapist to recognize and “be with” difficult emotions within themselves and thereby stay in connection with their clients - a key component of therapeutic presence, and a core ingredient of skillful management of the therapeutic encounter. A simple self-compassion practice will be taught to help therapists maintain compassionate presence in therapy. Personal insecurity is a common presenting issue among psychotherapy clients, typically understood as a clinical issue. A Buddhist perspective, which begins with the recognition of the universality of suffering, indicates a perspective that offers alternative pathways to meet and overcome this source of distress in both our clients and ourselves. This talk outlines how adopting the perspective of the universality of suffering assists clinicians in engaging their own painful experience during the practice of psychotherapy, with the effect of increasing clinicians’ capacity for engaging and alleviating the suffering of clients. This mutuality and interpenetration of experience is argued to be the essence of therapeutic presence. The ground alone, while vast, is not enough. In psychotherapy, it exists as a vehicle for very personal communication. This is where the path comes in. The path becomes operative through the content of what is being communicated or taught-in this case, some aspect of the psychotherapeutic process. Finally, with the passage of time, one often forgets a great deal of what one has heard. What one remembers instead is how one felt at the time of the communication and how the other person seemed to be--the element of connection. This is the fruitional element of presence, which is a kind of transmission, and it goes far beyond the written or the spoken word. To learn the skill of equanimity is to learn how to find balance in our lives. It is the development of a steadiness of mind and a calm understanding that allows us to be with our constantly changing world. While it is a skill that is often explored in meditation centers, it is rarely discussed in psychological literature. However, it is especially useful for clinicians as it allows us to sit with whatever arises in our consulting rooms and thereby is a core condition of a clinician’s cultivated therapeutic presence. Rather than becoming distracted and losing our mindful and compassionate attention, it enables us to connect more deeply and not be overwhelmed by the pain we see, hear, and feel in our practice. Research is clear that experience or techniques are not the best predictors of client outcomes in psychotherapy. The best therapy outcomes come for clinicians who cultivate and maintain high quality therapeutic alliances with their clients. These clinicians are more present, engaged, flexible, accepting of experience and integrated in their processing of moment-to-moment information, and therefore develop the presence and timing to deliver the most effective interventions. In a word, these clinicians learn the skills of “mindful truth-telling” relative to their moment-to-moment experience and how to intervene and communicate authentically, compassionately and directly - even when things are less than comfortable. The Mindful Communication Sequence (MCS) fosters the therapeutic alliance, enhances treatment, and is a model and method for building mindful, flexible management of experience for clients themselves. Many clinicians are looking to bring mindfulness techniques into their practices, but there are few resources for integrating mindfulness into one’s general communication stance with all clients - this seminar introduces a simple, comprehensive method (MCS) for understanding, managing and enhancing the authenticity of therapeutic communication with clients. MCS integrates components from Acceptance and Commitment Therapy (ACT) and other mindfulness interventions and family / systems therapies and is a helpful companion to therapists of diverse technical and theoretical backgrounds. MCS enhances the quality of therapeutic alliances with clients, manages “ruptures” in the alliance, and develops accurate timing of interventions. Altogether, the skills covered in this method build the the “presence” of the clinician, maximizing positive therapeutic outcomes. Mindful and compassionate presence are not just trendy ideas, but have a deep history, as well as a powerful underlying physiology and neuroscience to explain them. What's more, the research and evidence are overwhelming. In this extended segment, you will discover the fascinating neuroscience behind contemplative practice, as well as simple ways to share the science with your clients. We will also explore and practice multiple techniques that you can use yourself or with clients in and out of the therapy hour. Determine the three core elements of the inner holding environment for practicing mindfulness meditation. Establish the three inner holding environment elements during a practice meditation session. Practice monitoring, adjusting and re-establishing these core elements during meditation practice. Create an understanding of connection between mindfulness, self-care and therapeutic presence. Utilize simple mindfulness exercises to enhance presence and practice better self-care. Implement skills of self-compassion during psychotherapy to enhance emotional resonance. Specify alternative approaches to the nature of personal & professional insecurity, and how it interferes with our ability to become and remain fully present in the clinical encounter. Determine how presence represents a gateway into the discipline of mindfulness meditation altogether. Examine, both cognitively and experientially, how to begin to cultivate equanimity. Practice how to return to a state of equanimity when knocked off balance. Determine the phrases of equanimity. Practice, experientially, the key equanimity meditations. Utilize equanimity and how it can enhance presence. Develop skills for understanding and skillfully maintaining flexible and effective thinking and clinical decision-making, managing countertransference reactions to clients, and cultivating skills for compassionate perspective-taking and communication. Implement skills for to coaching clients in session to bring the Mindful Communication Sequence (MCS) to bear in their real-world interactions with others. From Tibetan Point of View, Presence provides a holographic view of the Dharma. There is a Ground, a Path, and a Fruition. Fruition: Transmission, which goes beyond the written or the spoken word. A faculty and board member at the Institute for Meditation and Psychotherapy, Tom Pedulla maintains a full-time private practice in Arlington, MA, where he works with individual adults and leads MBCT (Mindfulness-Based Cognitive Therapy) groups. He has practiced mindfulness meditation in the Vipassana tradition since 1987. Tom is also a contributing author of Mindfulness and Psychotherapy, Second Edition and a co-author of Sitting Together: Essential Skills for Mindfulness-Based Psychotherapy. Mitch Abblett, Ph.D., is a licensed clinical psychologist, clinical administrator, supervisor and trainer. He has appeared on local and regional television programs in New England, and has written in professional periodicals regarding children’s mental health needs. Dr. Abblett also serves as the Clinical Director of Judge Baker Children’s Center’s Manville School, a well-established therapeutic day school for special education children with significant learning, emotional and behavior challenges. In addition to his work with emotionally-behaviorally disordered children, Dr. Abblett has also worked with a variety of populations presenting difficult behavior patterns (aggression, trauma reactivity, combat veterans, sexual perpetration, and addiction). Dr. Abblett has conducted numerous trainings regarding clinical work with difficult populations, and is a dynamic, engaging speaker. He is the author or co-author of numerous books, including The Mindfulness Skills Activity Book for Children (PESI, 2018) and The Challenging Child Toolbox (PESI, 2018). Dr. Abblett is also the co-author of the Growing Mindful (PESI, 2015), Growing Mindful 2nd Edition (PESI, 2019), Growing Mindful Spanish Edition (PESI, 2016), Growing Happy (PESI, 2016), Mindful Reminders (PESI, 2016), The Self-Compassion (PESI, 2016) and Anti-Burnout (PESI, 2017) card decks. Financial: Dr. Mitch Abblett is the Clinical Director of the Manville School/Judge Baker Children’s Center. He is an adjunct faculty member at the Massachusetts School for Professional Psychology. He maintains a private practice. Dr. Abblett receives a speaking honorarium from PESI, Inc. Non-financial: Dr. Mitch Abblett is a member of the American Psychological Association. Janet Surrey, PhD, is a clinical psychologist in private practice in Newton. She is a Founding scholar of the Jean Baker Miller Training Institute at the Stone Center, Wellesley College and a Board member of the Institute for Meditation and Psychotherapy. She is trained as an Insight Dialogue teacher in the Buddhist Theravadan tradition and co-author of The Buddha's Wife: the Path of Awakening Together. Bill Morgan is a clinical psychologist in private practice in Cambridge and Quincy, MA. He is a founding board member of the Institute for Meditation and Psychotherapy, and has participated in 8 years of intensive retreats in the Theravada, Zen, and Tibetan schools of Buddhism during his forty years of meditation practice. He has led mindfulness retreats, workshops and courses for mental health professionals for the past 20 years. Bill is a contributing author to Mindfulness and Psychotherapy, Second Edition. Susan Morgan is a psychotherapist who teaches mindfulness meditation to individuals and groups, and consults with psychotherapists interested in deepening their meditation practice and therapeutic presence. Susan has practiced Buddhist meditation for 25 years, primarily in the Theravada tradition, and recently completed a 4-year retreat with her partner Bill. She has co-led mindfulness retreats and workshops for psychotherapists with Bill for the past 15 years. Lovingkindness and mindfulness of the body are integral to her teaching. 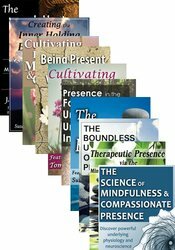 Susan is a contributing author to Mindfulness and Psychotherapy, Second Edition. Susan M. Pollak, MTS, Ed.D, is a faculty member in psychology at Harvard Medical School, Cambridge Health Alliance, where she has taught and supervised since the mid 1990s. She is the president of the Institute of Meditation and Psychotherapy, a founding member and senior advisor of Center for Mindfulness and Compassion, a psychologist in private clinical practice in Cambridge, Massachusetts and a Certified Teacher of the MSC program. Dr. Pollak co-taught Mindful Self-Compassion during its early development and she is co-author of Sitting Together: Essential Skills for Mindfulness-Based Psychotherapy www.sittingtogether.com/authors.php, a contributing editor of Mindfulness and Psychotherapy, 2nd edition. Her blog about Mindfulness and Compassion at Psychology Today is called “The Art of Now”. Christopher K. Germer, Ph.D. is a clinical psychologist in private practice. He is a Clinical Instructor in Psychology at Harvard Medical School and a founding member of the Institute for Meditation and Psychotherapy. He is a co-editor of the professionally acclaimed book Mindfulness and Psychotherapy, and author of The Mindful Path to Self-Compassion: Freeing Yourself from Destructive Thoughts and Emotions. Financial: Christopher Germer is in private practice. He receives a speaking honorarium from PESI, Inc. Non-financial: Christopher Germer is a member of the American Psychological Association; and the Association for Behavioral and Cognitive Therapies. Paul R. Fulton, is a clinical psychologist, part time Lecturer in Psychology at Harvard Medical School Department of Psychiatry at Cambridge Health Alliance, co-founder, and former president of the Institute for Meditation and Psychotherapy, course director for IMP’s year-long Certificate Program in Mindfulness & Psychotherapy. A student of Buddhist psychology for over 47 years, he received Zen jukai initiation in Soto Zen in 1972. He is co-editor and co-author ofMindfulness and Psychotherapy and contributing author to a number of other volumes. He is in private practice of psychotherapy in Newton, MA. Financial: Paul Fulton is in private practice. He receives an honorarium from the Institute for Mediation and Psychotherapy. Dr. Fulton receives a speaking honorarium from PESI, Inc. Non-financial: Paul Fulton is a member of the board of directors of the Institute for Mediation and Psychotherapy. Speaker Disclosures: Financial: Dr. Daniel J. Siegel is a clinical professor at the UCLA School of Medicine. He is the executive director of the Mindsight Institute. He is an author for W.W. Norton publishing and receives royalties. He is an author for Bantam publishing and receives royalties. He is an author for Guilford Press and receives royalties. He is an author for Tarcher/Penguin and receives royalties. He is an author for Random House and receives royalties. He receives a speaking honorarium from PESI, Inc.
NonFinancial: Dr. Daniel J Siegel has no relevant non-financial relationship to disclose. This self-study course has been approved by PESI, Inc., as a NAADAC Approved Education Provider, for 10.5 CE in the Counseling Services skill group. NAADAC Provider #77553. PESI, Inc. is responsible for all aspects of their programming. Full attendance is required; no partial credit will be awarded for partial attendance. Connecticut Addiction Counselors: Provider #120924. This course has been approved as a CCB approved training and has been awarded 11 hours by the Connecticut Certification Board. This intermediate self-study activity consists of 11 clock hours of continuing education instruction. Credit requirements and approvals vary per state board regulations. Please save the course outline, the certificate of completion you receive from the activity and contact your state board or organization to determine specific filing requirements. New York Counselors: PESI, Inc. is recognized by the New York State Education Department's (NYSED) State Board for Mental Health Practitioners as an approved provider of continuing education for Licensed Mental Health Counselors. #MHC-0033. This self-study activity will qualify for 13 contact hours. Full attendance is required; no partial credits will be offered for partial attendance. South Carolina Counselors, Marriage & Family Therapists and Psycho-Educational Specialists: This program has been approved for 10.5 continuing education hours by the South Carolina Board of Examiners for Licensure of Professional Counselors, Marriage and Family Therapists, and Psycho-Educational Specialists. Provider #4540. Texas Counselors: PESI, Inc. has been approved as a continuing education sponsor through the Texas State Board of Examiners of Professional Counselors. Provider #: 2477. This self-study course qualifies for 10.5 continuing education credits. This self-study activity consists of 11 clock hours of continuing education instruction. Credit requirements and approvals vary per state board regulations. Please save the course outline, the certificate of completion you receive from this self-study activity and contact your state board or organization to determine specific filing requirements. New York Marriage & Family Therapists: PESI, Inc. is recognized by the New York State Education Department's (NYSED) State Board for Mental Health Practitioners as an approved provider of continuing education for Licensed Marriage and Family Therapists. #MFT-0024. This self-study activity will qualify for 13 contact hours. Full attendance is required; no partial credits will be offered for partial attendance. This intermediate activity consists of 11 clock hours of continuing education instruction. Credit requirements and approvals vary per state board regulations. Please contact your licensing board to determine if they accept programs or providers approved by other national or state licensing boards. A certificate of attendance will be awarded at the end of the program to participants who are in full attendance and who complete the program evaluation. Iowa Nurses: PESI, Inc. is an approved provider by the Iowa Board of Nursing. Provider #: 346. Nurses successfully completing these self-study materials will earn 14 self-study contact hours. This self-study activity consists of 11 clock hours of continuing education instruction. Credit requirements and approvals vary per state board regulations. Please save the course outline and the certificate of completion you receive from this self-study activity. Contact us for more information on your state board or organization specific filing requirements. American Psychological Association credits are not available. Canadian Psychologists: PESI, Inc. is approved by the Canadian Psychological Association to offer continuing education for psychologists. PESI, Inc. maintains responsibility for the program. This program is approved for 10.5 self-study continuing education hours. Florida Board of Psychology: PESI, Inc., is an approved provider with the Florida Board of Psychology. Provider Number 50-399. This product qualifies for 11.4 self-study continuing education credits. Please make sure to bring your license number to the seminar so that we can report your attendance to CE Brokers. California Social Workers/ Counselors/Marriage & Family Therapists/Licensed Educational Psychologists: This intermediate activity consists of 10.5 clock hours of continuing education instruction. Credit requirements and approvals vary per state board regulations. Please contact your licensing board to determine if they accept programs or providers approved by other national or state licensing boards. A certificate of attendance will be awarded at the end of the program to participants who are in full attendance and who complete the program evaluation. Florida Social Workers/Marriage & Family Therapists/Mental Health Counselors: PESI, Inc. is an approved provider with the Florida Board of Clinical Social Work, Marriage and Family Therapy and Mental Health Counseling. Provider Number 50-399. This self-study course qualifies for 11 continuing education credits. Kansas Social Workers: PESI, Inc. is an approved provider with the Kansas Behavioral Sciences Regulatory Board. Provider #14-006. This self-study course has been approved for 10.5 continuing education hours. New York Social Workers: PESI, Inc. is recognized by the New York State Education Department's (NYSED) State Board for Social Work as an approved provider of continuing education for licensed social workers #SW-0008. This self-study activity will qualify for 13 contact hours. Full attendance is required; no partial credits will be offered for partial attendance. Expires: December 31, 2020. Ohio Social Workers/Counselors/Marriage & Family Therapists: PESI, Inc. is an approved provider with the State of Ohio Counselor, Social Worker and Marriage & Family Therapist Board. Provider approval #: RCST071001. Successful completion of this self-study course meets the qualifications for 11 clock hours of continuing education credit. This self-study activity qualifies for 9.5 clock hours of instructional content as required by many national, state and local licensing boards and professional organizations. Retain your certificate of completion and contact your board or organization for specific filing requirements. California Alcoholism & Drug Abuse Counselors: PESI, Inc. is an approved provider by the CCAPP-EI, Provider #: OS-03-036-1019. This self-study activity meets the qualifications for 1.0 CEH's (continuing education hours). Connecticut Addiction Counselors: Provider #120924. This course has been approved as a CCB approved training and has been awarded 1.25 hours by the Connecticut Certification Board. New York Counselors: PESI, Inc. is recognized by the New York State Education Department's (NYSED) State Board for Mental Health Practitioners as an approved provider of continuing education for Licensed Mental Health Counselors. #MHC-0033. This self-study activity will qualify for 1.5 contact hours. Full attendance is required; no partial credits will be offered for partial attendance. South Carolina Counselors, Marriage & Family Therapists and Psycho-Educational Specialists: This program has been approved for 1.0 continuing education hours by the South Carolina Board of Examiners for Licensure of Professional Counselors, Marriage and Family Therapists, and Psycho-Educational Specialists. Provider #4540. Texas Counselors: PESI, Inc. has been approved as a continuing education sponsor through the Texas State Board of Examiners of Professional Counselors. Provider #: 2477. This self-study course qualifies for 1.0 continuing education credits. Illinois Marriage & Family Therapists: PESI, Inc. has been approved as a provider of continuing education by the State of Illinois, Department of Professional Regulation. Provider #: 168-000156. Full attendance at this self-study activity qualifies for 1.0 credits. New York Marriage & Family Therapists: PESI, Inc. is recognized by the New York State Education Department's (NYSED) State Board for Mental Health Practitioners as an approved provider of continuing education for Licensed Marriage and Family Therapists. #MFT-0024. This self-study activity will qualify for 1.5 contact hours. Full attendance is required; no partial credits will be offered for partial attendance. Texas Marriage & Family Therapists: PESI, Inc. has been approved as a continuing education sponsor through the Texas State Board of Examiners of Marriage and Family Therapists. Provider #: 503. This self-study activity qualifies for 1.0 continuing education credits. This intermediate activity consists of 1.25 clock hours of continuing education instruction. Credit requirements and approvals vary per state board regulations. Please contact your licensing board to determine if they accept programs or providers approved by other national or state licensing boards. A certificate of attendance will be awarded at the end of the program to participants who are in full attendance and who complete the program evaluation. California Nurses: PESI, Inc. is a provider approved by the California Board of Registered Nursing, Provider #:17118 for 1.0 self-study contact hours. Florida Nurses: PESI, Inc. is an approved provider by the Florida Board of Nursing. Provider #: FBN2858. These materials qualify for 1.0 self-study contact hours. Iowa Nurses: PESI, Inc. is an approved provider by the Iowa Board of Nursing. Provider #: 346. Nurses successfully completing these self-study materials will earn 1.7 self-study contact hours. Florida Occupational Therapists & Occupational Therapy Assistant: PESI, Inc. is an approved provider with the Florida Board of Occupational Therapy. Provider Number 50-399. This self-study course qualifies for 1.4 continuing education credits. This self-study activity consists of 1.0 clock hours of continuing education instruction. The following state psychologist boards recognize activities sponsored by PESI, Inc. as an approved ACCME provider: Alaska, Arkansas, California, Colorado, Georgia, Illinois, Indiana, Kentucky, Maine, Maryland, Missouri, Nebraska, Nevada, New Hampshire, New Jersey, New Mexico, Oklahoma, Pennsylvania, South Carolina and Wisconsin. Certificates of attendance will be issued for you to submit to your state licensing board to recognize for continuing education credit. Full attendance is required; no partial credits will be offered for partial attendance. You are required to successfully complete and submit a post-test prior to receiving a certificate of completion. PESI, Inc. designates this self-study activity for a maximum of 1.0 AMA PRA Category 1 Credit(s)™. This activity was originally recorded on 12/01/2016. It was last reviewed on 03/05/2019 and is valid until 03/05/2022. Canadian Psychologists: PESI, Inc. is approved by the Canadian Psychological Association to offer continuing education for psychologists. PESI, Inc. maintains responsibility for the program. This program is approved for 1.0 self-study continuing education hours. Florida Board of Psychology: PESI, Inc., is an approved provider with the Florida Board of Psychology. Provider Number 50-399. This product qualifies for 1.4 self-study continuing education credits. Please make sure to bring your license number to the seminar so that we can report your attendance to CE Brokers. Florida Social Workers/Marriage & Family Therapists/Mental Health Counselors: PESI, Inc. is an approved provider with the Florida Board of Clinical Social Work, Marriage and Family Therapy and Mental Health Counseling. Provider Number 50-399. This self-study course qualifies for 1.25 continuing education credits. Illinois Social Workers: PESI, Inc. is an approved provider with the State of Illinois, Department of Professional Regulation. License #: 159-000154. Successful completion of this self-study activity qualifies for 1.0 contact hours. Kansas Social Workers: PESI, Inc. is an approved provider with the Kansas Behavioral Sciences Regulatory Board. Provider #14-006. This self-study course has been approved for 1.0 continuing education hours. Minnesota Social Workers: PESI, Inc. is an approved provider with the State of Minnesota, Board of Social Work. Provider #: CEP-140. This self-study course has been approved for 1.0 continuing education hours. A certificate will be issued upon successful completion of a post-test. New York Social Workers: PESI, Inc. is recognized by the New York State Education Department's (NYSED) State Board for Social Work as an approved provider of continuing education for licensed social workers #SW-0008. This self-study activity will qualify for 1.5 contact hours. Full attendance is required; no partial credits will be offered for partial attendance. Expires: December 31, 2020. Ohio Social Workers/Counselors/Marriage & Family Therapists: PESI, Inc. is an approved provider with the State of Ohio Counselor, Social Worker and Marriage & Family Therapist Board. Provider approval #: RCST071001. Successful completion of this self-study course meets the qualifications for 1.25 clock hours of continuing education credit. Pennsylvania Social Workers/Counselors/Marriage & Family Therapists: This intermediate activity consists of 1.0 clock hours of continuing education instruction. Credit requirements and approvals vary per state board regulations. Please contact your licensing board to determine if they accept programs or providers approved by other national or state licensing boards. A certificate of attendance will be awarded at the end of the program to participants who are in full attendance and who complete the program evaluation. Full attendance is required, variable credits may not be awarded per the Pennsylvania State Board. This self-study activity qualifies for 1.25 clock hours of instructional content as required by many national, state and local licensing boards and professional organizations. Retain your certificate of completion and contact your board or organization for specific filing requirements. New York Counselors: PESI, Inc. is recognized by the New York State Education Department's (NYSED) State Board for Mental Health Practitioners as an approved provider of continuing education for Licensed Mental Health Counselors. #MHC-0033. This self-study activity will qualify for 1.75 contact hours. Full attendance is required; no partial credits will be offered for partial attendance. New York Marriage & Family Therapists: PESI, Inc. is recognized by the New York State Education Department's (NYSED) State Board for Mental Health Practitioners as an approved provider of continuing education for Licensed Marriage and Family Therapists. #MFT-0024. This self-study activity will qualify for 1.75 contact hours. Full attendance is required; no partial credits will be offered for partial attendance. Iowa Nurses: PESI, Inc. is an approved provider by the Iowa Board of Nursing. Provider #: 346. Nurses successfully completing these self-study materials will earn 1.5 self-study contact hours. This self-study activity consists of 1.5 clock hours of continuing education instruction. The following state psychologist boards recognize activities sponsored by PESI, Inc. as an approved ACCME provider: Alaska, Arkansas, California, Colorado, Georgia, Illinois, Indiana, Kentucky, Maine, Maryland, Missouri, Nebraska, Nevada, New Hampshire, New Jersey, New Mexico, Oklahoma, Pennsylvania, South Carolina and Wisconsin. Certificates of attendance will be issued for you to submit to your state licensing board to recognize for continuing education credit. Full attendance is required; no partial credits will be offered for partial attendance. You are required to successfully complete and submit a post-test prior to receiving a certificate of completion. PESI, Inc. designates this self-study activity for a maximum of 1.5 AMA PRA Category 1 Credit(s)™. This activity was originally recorded on 10/17/2019. It was last reviewed on 03/06/2019 and is valid until 03/06/2022. Colorado Social Workers: PESI, Inc. is an approved provider with the Colorado Chapter of the National Association of Social Workers. Provider #1413. This course has been approved for 1.5 continuing education hours. Connecticut Addiction Counselors: Provider #120924. This course has been approved as a CCB approved training and has been awarded 1.0 hours by the Connecticut Certification Board. New York Counselors: PESI, Inc. is recognized by the New York State Education Department's (NYSED) State Board for Mental Health Practitioners as an approved provider of continuing education for Licensed Mental Health Counselors. #MHC-0033. This self-study activity will qualify for 1.25 contact hours. Full attendance is required; no partial credits will be offered for partial attendance. New York Marriage & Family Therapists: PESI, Inc. is recognized by the New York State Education Department's (NYSED) State Board for Mental Health Practitioners as an approved provider of continuing education for Licensed Marriage and Family Therapists. #MFT-0024. This self-study activity will qualify for 1.25 contact hours. Full attendance is required; no partial credits will be offered for partial attendance. Iowa Nurses: PESI, Inc. is an approved provider by the Iowa Board of Nursing. Provider #: 346. Nurses successfully completing these self-study materials will earn 1.3 self-study contact hours. Florida Occupational Therapists & Occupational Therapy Assistant: PESI, Inc. is an approved provider with the Florida Board of Occupational Therapy. Provider Number 50-399. This self-study course qualifies for 1.1 continuing education credits. PESI, Inc. designates this self-study activity for a maximum of 1.0 AMA PRA Category 1 Credit(s)™. This activity was originally recorded on 10/17/2016. It was last reviewed on 03/06/2019 and is valid until 03/06/2022. Florida Board of Psychology: PESI, Inc., is an approved provider with the Florida Board of Psychology. Provider Number 50-399. This product qualifies for 1.1 self-study continuing education credits. Please make sure to bring your license number to the seminar so that we can report your attendance to CE Brokers. Florida Social Workers/Marriage & Family Therapists/Mental Health Counselors: PESI, Inc. is an approved provider with the Florida Board of Clinical Social Work, Marriage and Family Therapy and Mental Health Counseling. Provider Number 50-399. This self-study course qualifies for 1.0 continuing education credits. New York Social Workers: PESI, Inc. is recognized by the New York State Education Department's (NYSED) State Board for Social Work as an approved provider of continuing education for licensed social workers #SW-0008. This self-study activity will qualify for 1.25 contact hours. Full attendance is required; no partial credits will be offered for partial attendance. Expires: December 31, 2020. Ohio Social Workers/Counselors/Marriage & Family Therapists: PESI, Inc. is an approved provider with the State of Ohio Counselor, Social Worker and Marriage & Family Therapist Board. Provider approval #: RCST071001. Successful completion of this self-study course meets the qualifications for 1.0 clock hours of continuing education credit. This self-study activity qualifies for 1.0 clock hours of instructional content as required by many national, state and local licensing boards and professional organizations. Retain your certificate of completion and contact your board or organization for specific filing requirements. Florida Occupational Therapists & Occupational Therapy Assistant: PESI, Inc. is an approved provider with the Florida Board of Occupational Therapy. Provider Number 50-399. This self-study course qualifies for 1.0 continuing education credits. PESI, Inc. designates this self-study activity for a maximum of 1.0 AMA PRA Category 1 Credit(s)™. This activity was originally recorded on 11/13/2016. It was last reviewed on 03/11/2019 and is valid until 03/11/2022. Iowa Nurses: PESI, Inc. is an approved provider by the Iowa Board of Nursing. Provider #: 346. Nurses successfully completing these self-study materials will earn 1.0 self-study contact hours. PESI, Inc. designates this self-study activity for a maximum of 1.0 AMA PRA Category 1 Credit(s)™. This activity was originally recorded on 11/13/2016. It was last reviewed on 03/12/2019 and is valid until 03/12/2022. New York Counselors: PESI, Inc. is recognized by the New York State Education Department's (NYSED) State Board for Mental Health Practitioners as an approved provider of continuing education for Licensed Mental Health Counselors. #MHC-0033. This self-study activity will qualify for 1.0 contact hours. Full attendance is required; no partial credits will be offered for partial attendance. New York Marriage & Family Therapists: PESI, Inc. is recognized by the New York State Education Department's (NYSED) State Board for Mental Health Practitioners as an approved provider of continuing education for Licensed Marriage and Family Therapists. #MFT-0024. This self-study activity will qualify for 1.0 contact hours. Full attendance is required; no partial credits will be offered for partial attendance. Iowa Nurses: PESI, Inc. is an approved provider by the Iowa Board of Nursing. Provider #: 346. Nurses successfully completing these self-study materials will earn 1.2 self-study contact hours. PESI, Inc. designates this self-study activity for a maximum of 1.0 AMA PRA Category 1 Credit(s)™. This activity was originally recorded on 10/17/2016. It was last reviewed on 03/13/2019 and is valid until 03/13/2022. Florida Board of Psychology: PESI, Inc., is an approved provider with the Florida Board of Psychology. Provider Number 50-399. This product qualifies for 1.0 self-study continuing education credits. Please make sure to bring your license number to the seminar so that we can report your attendance to CE Brokers. New York Social Workers: PESI, Inc. is recognized by the New York State Education Department's (NYSED) State Board for Social Work as an approved provider of continuing education for licensed social workers #SW-0008. This self-study activity will qualify for 1.0 contact hours. Full attendance is required; no partial credits will be offered for partial attendance. Expires: December 31, 2020. This self-study activity consists of 1.0 clock hours of continuing education instruction. Credit requirements and approvals vary per state board regulations. Please save the course outline and the certificate of completion you receive from this self-study activity. Contact us for more information on your state board or organization specific filing requirements. American Psychological Association credits are not available. PESI, Inc. designates this self-study activity for a maximum of 1.0 AMA PRA Category 1 Credit(s)™. This activity was originally recorded on 10/17/2016. It was last reviewed on 03/18/2019 and is valid until 03/18/2022. Iowa Nurses: PESI, Inc. is an approved provider by the Iowa Board of Nursing. Provider #: 346. Nurses successfully completing these self-study materials will earn 1.6 self-study contact hours. PESI, Inc. designates this self-study activity for a maximum of 1.0 AMA PRA Category 1 Credit(s)™. This activity was originally recorded on 11/13/2016. It was last reviewed on 03/19/2019 and is valid until 03/19/2022.